Frances Langford Stuart was a chief entertainer for American service men with Bob Hope during his wartime duties. Stuart began her career in radio at the age of sixteen when Vaudeville star, Rudy Vallee, discovered her in a talent contest in Miami. Stuart’s biggest break came when she replaced Judy Garland in Bob Hope’s Pepsodent Radio Show in 1941. 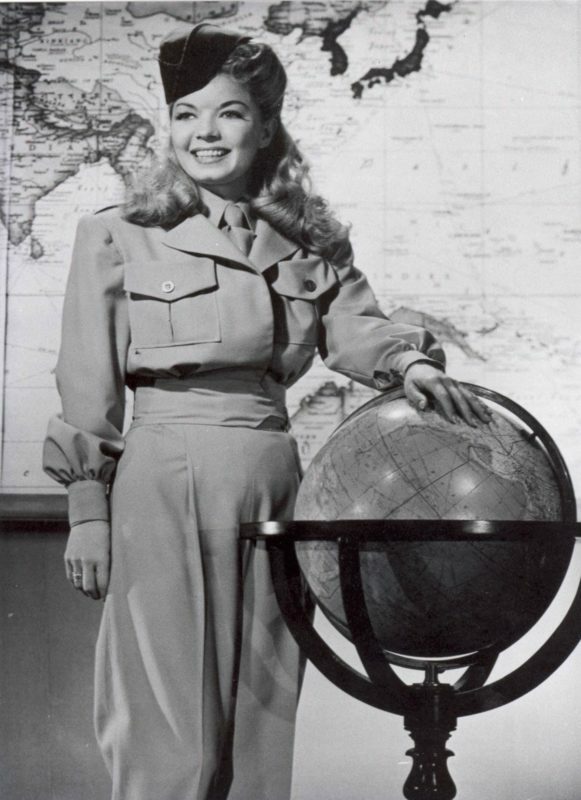 Stuart starred with Ronald Reagan and George Murphy in “This is the Army.” She co-starred in “Yankee Doodle Dandy” with James Cagney and “The Girl Rush” with Robert Mitchum. Stuart sang for nearly five million American soldiers during her tenure with the USO. Stuart is known internationally for her contribution to our military troupes during World War II. She endured the same conditions as the men she sang for, with dignity and a giving spirit. Stuart set an example of courage to young women in a time when going to war as a female was not routine. She received numerous awards including; Military Order of the Purple Heart and the AMVETS American Veterans of World War II certificate of merit. From her home in Jensen Beach, Florida, Stuart continued her philanthropic work and humanitarian efforts.